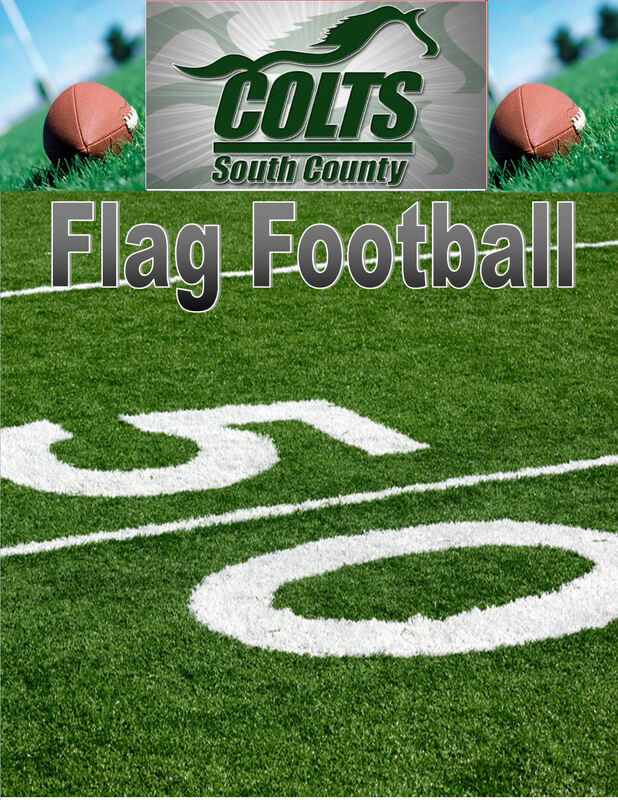 SCAA will utilize NFL Flag Football rules for our Flag Football program this year. Players will wear an NFL Flag Football team jersey. We anticipate starting in mid April and playing a 7 game season with not more than 2 weeks of playoffs at the conclusion of the season. Practices will be held prior to the games. Games will be played on Sunday's late morning or early afternoon. Flag football is open for Boys and Girls Ages 5-14 (NOTE: up through 8th grade only, no High School students). We are planning for teams will be coed. If there are sufficient numbers to form Boys and Girls teams at a particular age group we will do that.